Will It Blend? 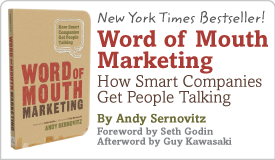 Our 4-part series on creating content people love to share | Andy Sernovitz | Damn, I Wish I'd Thought of That! As a preview for Word of Mouth Supergenius: The “How to be Great at Word of Mouth Marketing” Conference here in Chicago on December 16, we’re dedicating a full week to our halftime celebrities from Blendtec’s Will It Blend? 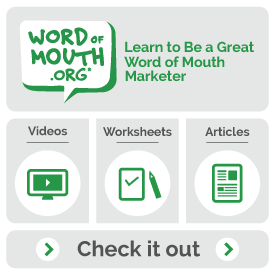 video series on our Word of Mouth Marketing Blog. We’ve long been big fans of Will It Blend’s simple, cheap, and brilliant formula for creating content people love to share, and we’re thrilled to have Blendtec’s VP of Marketing and Sales, George Wright, join us for our big event next month.